We are so pleased to announce that Pamela MacGregor will be joining us for 2 fantastic workshops in October. We are privileged to be using the Cow Shed Studio at Farmleigh for both of these workshops. Located in the beautiful Phoenix Park, Dublin. The first will be the Techniques Workshop that will explore innovative as well as traditional wet felting techniques. They will be neatly bound into a beautiful sample book. You will make many felt samples using traditional and non-traditional methods. Each felt sample will be as unique as it’s maker. 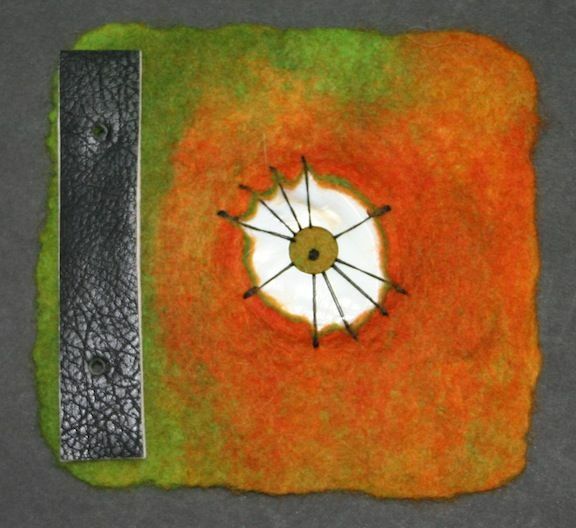 This class will give you a solid base in felting techniques that can be applied to your future two or three dimensional felting projects. Friday October 3 – Sunday October 5, 2014 – Click on the link below to download the application. This special Felted Teapot class will cover the basics for making and sculpting felt vessels with a focus on creating a beautiful, although, non functional tea pot. We will have time to discuss many of the possibilities and combinations for making any teapot including handles, feet and stoppers. The rating for this class is intermediate to advanced. Saturday October 11 – Monday October 13, 2014 – Click on link below to download the application.